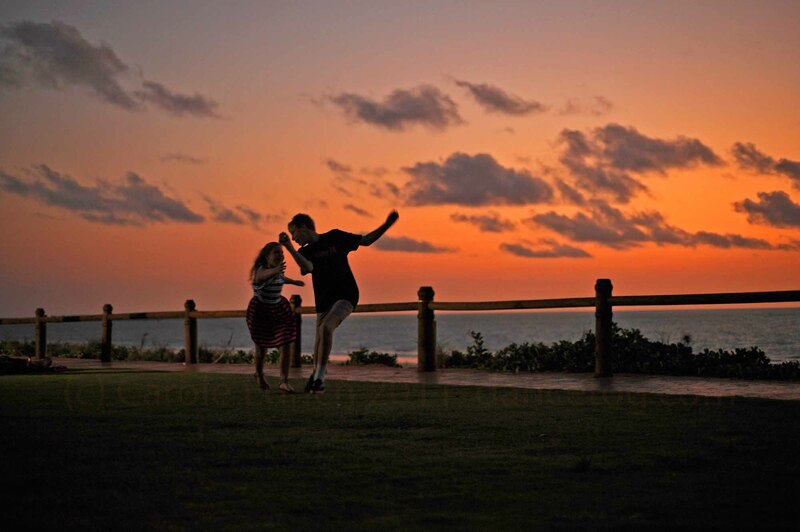 This shot, of two children dancing for fun at dusk on Cable Beach continues several themes, that of photographing children, that of low light photography and the most important to me, which is luck. I was extraordinarily lucky to have been invited to Australia to cover the KALACC festival last November, extraordinarily lucky to have met Jigalong and his lady, who are lovely people and were wonderful hosts, incredibly lucky to be able to mix and talk with some of the Australian Aboriginals who participated in the festival and even luckier to be able to accompany Jigalong around his working beat. The people of Broome and of James Price Point are less lucky. Their campaign to save some of the most beautiful parts of the Kimberleys, focus of several points of dream time importance, a wilderness of great biodiversity and a series of intact and in-situ dinosaur footprints seemed to be falling on largely deaf ears, despite there being an acceptable alternative site about 50 miles down the road. I tried so hard to write about this, to get it covered on the radio or to get something into the UK’s press. Unfortunately as it’s not my area I was only able to get small pieces out there for which I feel extremely sad. Today I discovered that, although a huge amount of damage has been already done there is some hope, as this article suggests. I’m hoping to find out more.